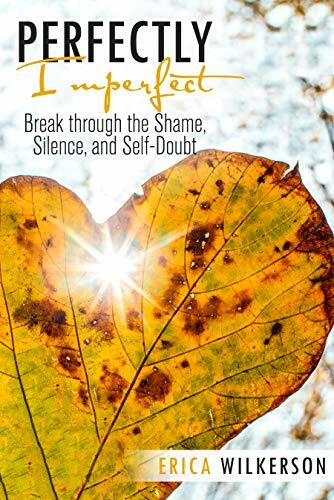 Best Seller Publishing announces the release of Erica Wilkerson’s new book “Perfectly Imperfect: Break Through the Shame, Silence, and Self-Doubt.” It will be available for free download in the Amazon Kindle Store on March 18th. “Perfectly Imperfect” by Erica Wilkerson will be free and available for download on Amazon for 5 days (03/19/2019 – 03/22/2019) at: https://www.amazon.com/dp/B07P1CDLW3. “This book is absolutely Amazing. Learning to love yourself is important. Make goals and reach goals. Permission Granted.” – Stephen P.
Erica Wilkerson is an empowerment coach. She is focused on helping women and youth through self-care, building self esteem, and having a positive mindset. She is a registered nurse and a retired Army veteran. She is dedicated to supporting and empowering women to improve their lives. She has played a key role in thousands of women’s lives helping to change their lives for the better. Now she continues her mission to inspire, encourage, and motivate women to be the best version of themselves through her Perceptive Living business. Her purpose is to ensure women are taking care of themselves as well as they take care of others.